James Sullivan has been having a chat with Melbourne distance runner Liam Adams, multiple Australian representative. 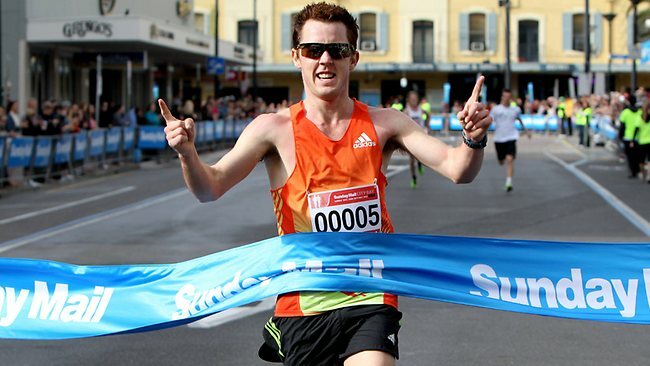 Liam Adams is an elite distance runner from Melbourne, Australia. He has represented Australia at several World Cross Country Championships and at the 2012 World Half Marathon Championships. He made his marathon debut at this year’s Melbourne Marathon, finishing as first Australian with a clocking of 2:14:09. Liam: I was introduced to athletics through the primary school system. I had quite an active childhood where I jumped at any opportunity to represent my primary school at any sport. Outside of the schooling system I played baseball, Australian rules football and did a bit of umpiring. After making a number of state cross country teams and even medaling at a national championships, I decided that I’d take up running outside of the schooling system and do a bit of training. I joined the local athletics club Athletics Essendon and Gregor Gojrzewski’s training squad and through my teenage years I slowly gave up my other sports to dedicate more time to running. Liam: I’d have to say my first idol was Collis Birmingham. He was a couple of age groups above me in the schooling system and would win every state and national championships so I looked up to him a fair bit. I also idolised Steve Moneghetti, Lee Troop and Craig Mottram when I was growing up, who were all Victorians doing big things for Australian distance running on an international level. I’m kind of blessed that I can regard all my idols as mates that have given me guidance and advice with my running and still do to this day. Liam: I believe my strongest attributes are my work rate and my ability to read my body and know when to back it off. I train hard but I do believe I am pretty good at reading when I need to take it easy. That’s probably the reason why I have never had an injury from running. I think the things I need to improve on are consistency with my gym program and also my flexibility. James: You recently were the first Australian home in the Melbourne Marathon, in a time of 2:14:09. Can you put that experience into words? Did you expect to perform so well in your debut race over the distance? Liam: I personally thought it was quite a successful debut. There have been many guys who have stepped up to the marathon distance and had very disappointing results. I had done some excellent preparation in the lead up to my race so I was expecting a good result. There was still some doubt about how I’d approach the race and what was the appropriate pace considering the furthest distance I had previously raced was the half marathon and anything beyond that was unknown. I set out with a couple of times and targets, and my minimum target and main goal was a Commonwealth Games A Qualifier (2:15). My time that I ended up with is roughly about what I expected to run but I believe if things all went to plan I probably could have gone a bit quicker. I had a drinking plan in place and was going to use an energy gel at the later stages of the race but that went out the window when I started noticing a mild stitch only 7km’s into the race. I wanted to regularly take on drinks like the other elite guys did but was stuck pouring water over my head for most of the way. I did manage to take on some water at the 25km mark but as anyone knows it’s probably not sufficient enough for a marathon. Liam: I have come second twice at the World University Cross Country championships, but I believe my two best results or performances have come in the last year. I came 23rd at last years World Half Marathon Championships in my second half marathon that I’ve ever competed in, and also came 23rd at the World Cross Country Championships in Poland this year. James: You have represented Australia at several World Cross Country Championships. How important is competing on this surface to your overall goals on the track and over the marathon? Liam: For me, I believe the cross-country season is important. It is the season where I get the necessary base training completed for what is a long Australian track season that I usually finish off with a couple of key races in America. This year’s Australian cross country season I solely focused on preparing for the Melbourne Marathon. I’m now hoping that I can consolidate that training and use it towards my first key race of our summer season, which is the Zatopek 10 in December. Liam: I believe my whole 2011/2012 Australian track season was an absolute disappoint to me. The season started off horribly. I had done an impressive lead up to the Zatopek 10km which was ruined by a wisdom tooth infection. Throughout the whole season I had trained the house down but had been running some below average results when it came to races, that I probably could have done off very little training. My Australian track season was a complete disaster and I was still yet to compete in my last track race. My final race of the season was the Payton Jordan Cardinal 10,000m invitational B race. In my final preparations I had a mini break and got back to the basics with some easier sessions leading into the race. To my surprise I had an absolutely cracking race where I came second running a personal best of 28.11 & narrowly missing the win by one microsecond. I think the positives I took from that disappointing season was that the hard work I put in was gradually rewarded and that I need to back off the occasional sessions so that I don’t flatten myself. When analysing the season there was quite a bit of knowledge gained from my bodies response to training stimuli, recovery, timing of sessions etc which has helped make me a better runner. Liam: My main goal is to gain selection for the Commonwealth Games in Glasgow and have an excellent debut at that level of competition. I’m hoping that I can qualify for the Commonwealth Games in both the marathon and 10000m. By the end of this Australian track season hopefully I’m stuck with the choice of selecting the event that I believe I’ll be stronger in, and make sure I’ve got enough time to get the right training in for that particular event. James: Is the marathon your priority going forward, or have you your sights still set on the track? Liam: I do believe that I am probably more suited to marathons and that I’ve got a future there, but I still believe I’ve got a lot of unfinished business on the track. I don’t think I’m anywhere near my full potential on the track and would really like to work on that before I make the switch and focus more on the marathon. Liam: I had two main phases of training. The first phase was roughly around 160-180km weeks with some reasonable volume sessions like 3x4km etc which wasn’t that much more than a standard cross country season. I trained quite well through this period and was quite consistent with the training but it did take a fair toll on the body. The second phase was after a small overseas holiday I took in late August to South America. I didn’t get much running done on that holiday but I made every run one of quality. Immediately after the holiday, I went straight into high mileage weeks of between 180-210km and higher volume sessions like 3x7km etc. I was quite consistent in this period and was still able to maintain some high quality through this period. My sessions were of higher quality in this phase and combined with the high mileage, I was very surprised to be running so fast and feeling like I was recovering quicker than the previous phase. This phase did the world of good to my confidence and I knew I was on my way to what would be a good debut marathon result. Liam: I’ve got to say that the answer to this is quite seasonal and based on what I think I need in my preparation or whether I have overused the session in the current program. I love a bit of variety. I do love the longer grinding sessions such as 3x4km efforts, picking it up the last half of repeat efforts such as 10x1km session and doing maximal short sessions such as 3x600m and going to exhaustion. I would have to say that out of all the sessions, the one I like doing most is quarters (8x400m with 200m float/recovery) as you can manipulate the session to the style you believe will benefit you the best. Sometimes I like to run all my 400m efforts at maximum and jog the recovery really slow, and other times I try and chase a fast overall time which means your floats are at a fairly fast pace too. I would have to say my least favourite session is wind sprints (8 laps of sprinting the straights and floating the bends). It’s similar to the quarters session in the fact that you can manipulate the session to achieve a certain style but I blamed this session in getting stale one season because whatever style I tried to do in that session resulted in poor results. In saying that, I have only done this session once in the past year and believe that it could be beneficial in my current program. Liam: No I don’t do any cross training at the moment but I am considering introducing some swimming into my training. Liam: I reckon they are a fairly good way of reassuring your confidence with regards maintaining your marathon pace and practicing pre race routines. It’s probably easier and will take less out of you if you did your planned marathon pace run in a race situation. There should usually be a number of half marathons prior to whatever marathon you are training for and its best to find the most ideal one in terms of giving yourself sufficient time to recover before the marathon and one that fits ideally in with your program and fitness level. I planned on doing a marathon pace run in a half marathon about 5 weeks prior to my marathon but my coach believed it didn’t fit in with the program. So we changed that to an easier tempo paced half marathon and targeted a 12km road race as my last hit out race. I gained my confidence with maintaining my predicted race pace in long repeat efforts at race pace and by gradually picking up long run paces until I was running my last 10km at race pace. It’s all up to the individual to try what they believe will personally work best for them in their race preparation and it’s important to confidently reinforce yourself that you’ve made the right decisions in your preparation. James: The Athletics Australia marathon standards are set at a higher level than what is required by the IAAF for qualification for major championships. What are your views on this? Liam: To me, setting the standards higher than the IAAF standards makes no sense. We don’t have the same selection issues with depth of quality like Kenya, who have ridiculous amount of runners who meet the A standard each year, so there is no need to make our standard harder. I think the decision to make the standards harder hasn’t enticed Australian athletes to step up to the distance and has directly affected Australian marathon running. There have been some positive improvements to the selection policies over the last couple of years and I think the state of marathon running in Australia will improve because of it. The introduction of a selection trial for the Moscow World Championships has given a new avenue for gaining selection and the Australian marathon standards for next years Commonwealth Games are the exact same as the IAAF standards, like it probably should be each year. It should be seen as exciting times in Australian marathon running when four Australian male marathoners all have A qualifiers for next years Commonwealth Games and another has an automatic selection due to their results at the World Championships. As for the women well that’s in good stead with the likes of Lisa Jane Weightman and Jess Trengove leading the charge for the Australian female marathoners. Liam: It is very important for the survival of athletics in Australia so it’s quite reassuring to hear that the sport of athletics is seeing strong growth in registration rates across the whole of Australia. This form of competition is appealing because it allows people of all abilities to compete, be active and enjoy all the aspects of participating in the sport. I believe the next step to bringing the sport forward in the future is for this merger between Little Athletics Australia (LAA) and Athletics Australia (AA) to go ahead. Little Athletics Australia saw over 103,667 registrations last season which puts them as one of the highest in participation for junior sports in Australia, but sees a significant drop out rate in the transition into shield/inter-club competition. LAA and AA need to work together to address these issues with the dropout rate to help athletics evolve into an even more exciting & appealing product. Liam: I think the loss of the major sponsor has definitely hurt the sport and made it more reliant on government funding. The merger between AA and LAA needs to happen, and with this further growth of the sport there will be more interests from major sponsors to jump on board. I think a way that we can boost spectator attendance at major meets is to allow LAA members and/or anyone under the age of 14 to get in for free. This will boost spectator numbers drawing more families along that might not already have a big interest in the sport, but it will also allow juniors to watch Australia’s best athletes compete along with some of the world best, giving a larger number of juniors the chance to gain athletic idols, hopefully resulting in their continued interest in the sport for future years. Another aspect that is holding the sport back compared to commercial sports is uniform restrictions for athletes and teams. This is definitely a key into generating more sponsorship interests, advertising opportunities, and public awareness and interest in athletics. Uniform regulation amendments need to be made to bridge the gap between athletics and commercial sports although these amendments probably need to come from IAAF to the governing body. 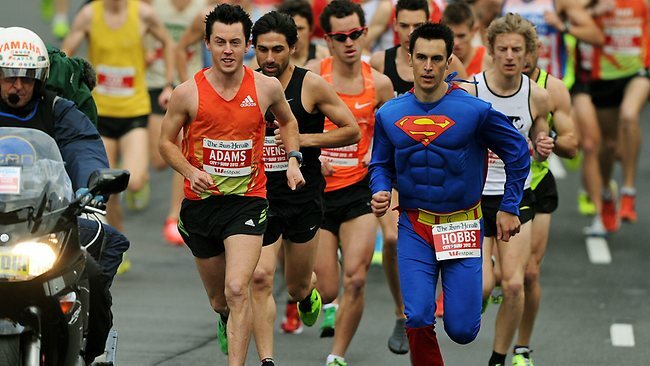 Liam: Yeah there is a bit more that can be done to gain further public interest and support behind the event by doing alterations to the course that would take in populated pedestrian areas and showcase some of the best sights and precincts of Melbourne. The current course has got small sections where there were pockets of large amounts of spectators but it’s nothing like the major marathons around the world where it’s like that for most of the way. If they can replicate a course similar to the 2006 commonwealth games course than I can definitely see it attracting more spectators. James: Many Australian athletes have struggled with the track season in Europe and the major championships being at a different time to the Australian track season and can often peak three or four months too early. Is this a concern for you and how do you plan to manage this challenge? Liam: I do think it’s a little tougher for Australian athletes, that they go through a long Australian season straight into the European season and have to peak multiple times, but more so towards the end of the European season when the championship races are usually on. Some Athletes can peak perfectly but some just can’t get it right. I’ve seen some which get into red hot form just before major championships, and not get it right on the day but come out three or so weeks later and take down some of the world’s best. They’ll eventually get it right and then we’ll see some well deserved results at championship races. I don’t really see myself getting into the same situation where I spend the whole season straight after the Australian domestic season in Europe, but I think I’d have a small break after the Australian summer season to rejuvenate, then because I shouldn’t have lost too much fitness would spend maybe 3-4 weeks of controlled training making sure I don’t over do it. After that I would start a hard block of training hopefully leading to me peaking towards the business end of the season. I’m not quite at that level yet so it’s easier said than done. I do believe that my preparation and periodisation would be quite similar to that but my coach could have entirely different plans or a different approach. I’m confident that whatever plan we work out we’d make sure that I’m peaking at the right time of the season. Liam: I share the same views as majority of athletes or athletic fans. I absolutely hate drug takers and people trying to beat the system with a passion. There is definitely a problem in athletics and professional sport in general and we need to be doing more by giving decent punishments to athletes, coaches or sports physiologists so that it actually deters people from doing it. The current policies and system implemented aren’t working and we really need to change this before the issue gets worse. There needs to be an overhaul in the way we tackle drugs in athletics. Yes the new four year ban is a bit more of a step in the right direction but there’s still more that can be done. Greater pressure needs to be put on governing bodies and national doping federations to clean the sport up and make sure their athletes that represent them are clean. It’s an absolute joke that there are still nations that don’t have national doping bodies that are allowed to compete at World Championships or Olympic Games. This should be mandatory for clean sports or sport at that level. I believe that every athlete that wins or gains selection at Olympic or World Championship trials be automatically tested at the trials. It should be mandatory that any high profile meet tests all place getters and same goes with any high profile road races or marathons where there is a lot of prize money to be won so it should be mandatory to test the top seven or ten athletes. I think we also need to start looking at sanctioning national athletic federations that aren’t doing enough in the combat against drugs in sport. Ideas such as if a country has three athletes test positive at an Olympic or World Championship event than there is an automatic ban on that athletics federation of say missing the next Olympics and/or 2 year ban from competing at World Championship events, need to be considered. If we implement rules such as that than you will quickly see all nations do their best in making sure they’ve only got clean athletes representing their nation. Liam: I would definitely be the wrong person for the job. There are a number of changes that could help the sport, but I believe there are two changes that could definitely help the profile of athletics. One would be the amendments to uniform restrictions. Yes sure we definitely need to protect the IAAF major sponsors but there are many ideas that can allow individuals, teams, and maybe even national teams to have a bit more freedom with advertisement on uniforms to coexist and not mutilate the IAAF major sponsorship agreements. This works in other major international sports so therefore shouldn’t be a problem introducing this into athletics. Another thing I would love to see changed in our sport would be harsher penalties for doping violations that would deter athletes and encourage national governing bodies to help in this crack down. The current policies aren’t working and we definitely need to address this issue. James: That’s great Liam. Thank you for your time and the very best of luck for 2014.